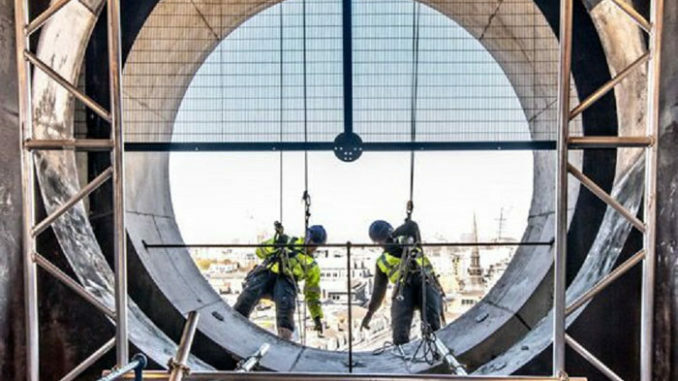 Stone Technical Services (STS) has secured a prestigious contract to assist with the refurbishment of the bells at St Paul’s Cathedral in London. The Darlington-based high-level restoration and maintenance company was selected from dozens of nationwide contractors thanks to its expertise in the field of historic buildings and its previous work at St Paul’s. STS has a longstanding partnership with St Paul’s Cathedral having carried out a variety of projects including annual lightning protection inspections, works at the Chapter House, repairs to the historic Thornhill Paintings on the cathedral’s dome and also inspections to the dome. 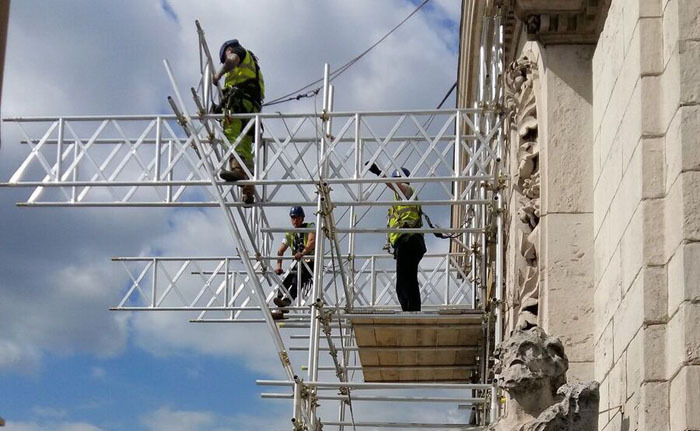 STS is the only lightning conductor contractor approved to carry out projects at St Paul’s and has worked with the Clerk of Works for over 20 years on aspects such as maintenance and structure surveys. Working with the prestigious heritage and conservation architects- Caroe Architects, RGD Engineering and the well-known John Taylor and Co Loughborough Bell Foundry, STS is providing specially-designed scaffolds for the refurbishment of the bells at St Paul’s to limit disruption to the day-to-day running of the cathedral. The bells will be cleaned to remove a thick layer of grime and fitted with new moving parts to improve their performance and it’s hoped that they will be back in operation in time for their 140th birthday on November 1. Managing director Dave Stone said: “St Paul’s is one of the world’s most iconic structures and most visited tourist attractions in the UK. We are very proud to have had such a longstanding relationship with the Clerk of Works and to secure this prestigious contract adds to our detailed knowledge of the structure. 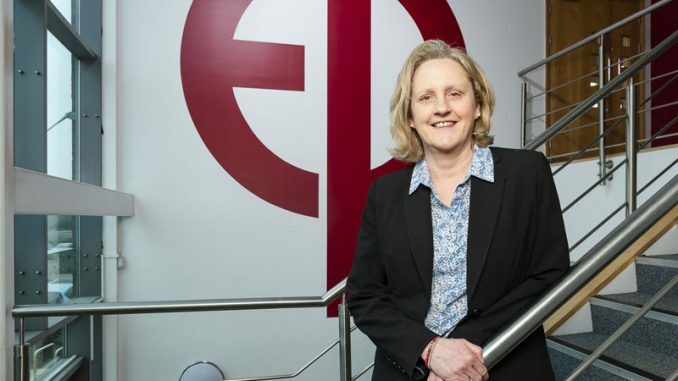 “We’re working in partnership with the UK’s best-known heritage architects and bell foundry and hope to have the work completed by the summer. STS started 2018 by investing hundreds of thousands of pounds in its fleet of vehicles as contracts around the UK continue to increase, and it marks its 20th anniversary. All of its divisions have seen an increase in projects at sites around the UK, including a range of lightning protection contracts for Midlothian Council, restoration at the Royal Courts of Justice in London working on historic chimneys and general maintenance work for Mitchells and Butlers at bars in London and Manchester. 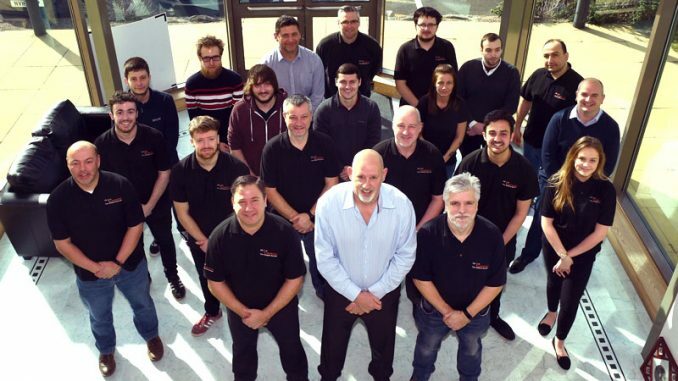 STS was established by Darlington brothers, Dave and Grahame Stone, in 1998 and they now have offices in Edinburgh city centre and in central London as well as their HQ on Kellaw Road in Darlington. 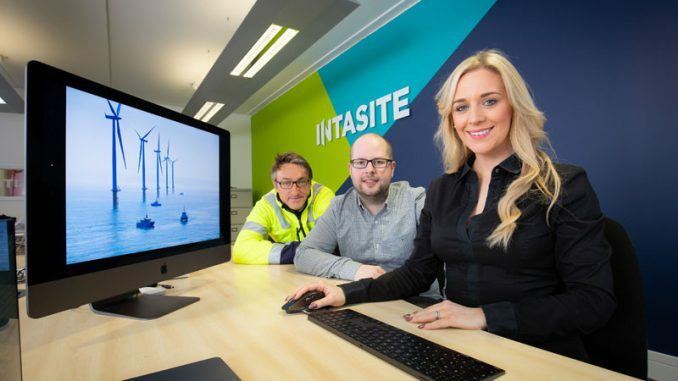 The firm experienced its most successful year to date in 2017 with a 20% year-on-year growth – it has seen its turnover increase from around £2m to over £3m in the last 12 months and staff numbers are now approaching 50.